It’s true that I always suggest to get out of Tokyo as well, but what if you’re stuck in Tokyo for some reason? 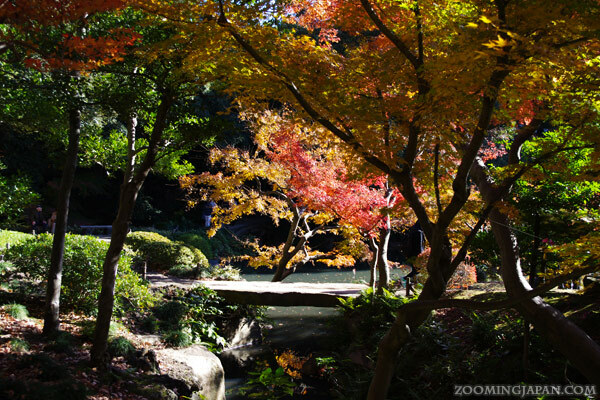 Today I want to show you some breathtaking spots where you can easily enjoy autumn colors in Tokyo! 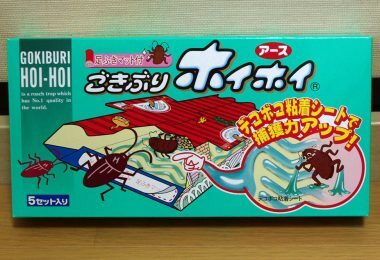 Please note that there are too many spots in Tokyo to introduce them all. Here’s just a small selection of some of my favorite spots. I like it when there are either shrines / temples in the background or simply Japanese-style gardens. 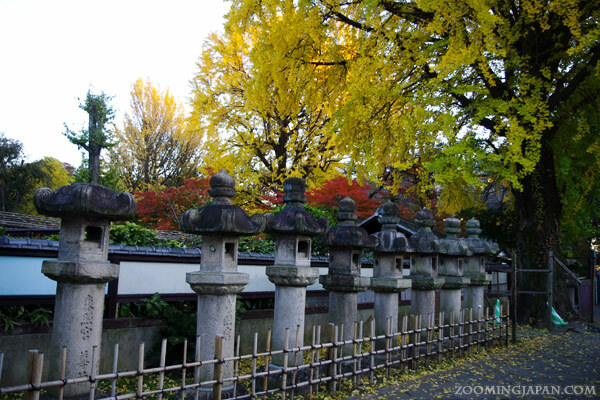 These are even beautiful and worth visiting outside of autumn season. 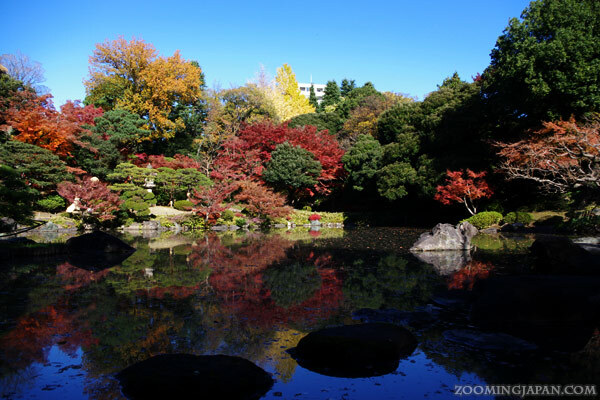 I hope this list will be a good reference for you if you want to see autumn colors in Tokyo (which are usually at their best from late November to early December). Hama Rikyu (浜離宮) is a Japanese-style garden in Chuo-ku (central Tokyo) at the mouth of Sumida River. Its full name is “Hama Rikyu Onshi Teien (浜離宮恩賜庭園). The garden is surrounded by a seawater moat filled by Tokyo Bay. 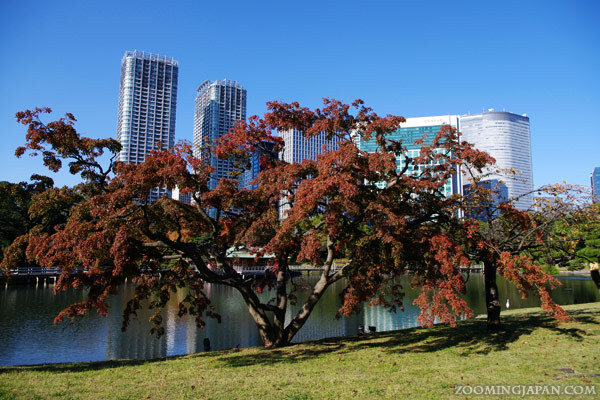 What makes this garden special is that you can enjoy the contrast of a traditional Japanese garden landscape with the skyscrapers of Shiodome in the background. 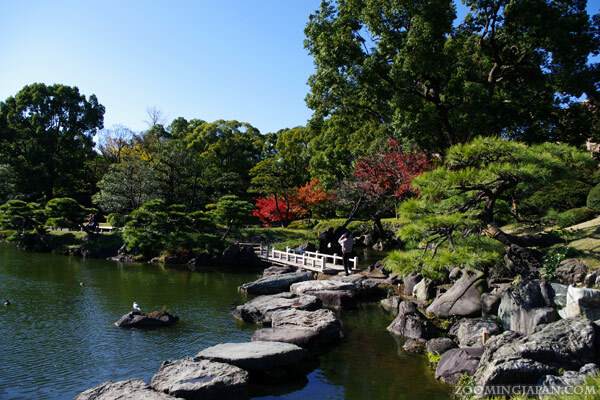 In the Edo Period (1603 – 1867) the garden was used as duck hunting ground for feudal lords. It was opened to the public in 1946. 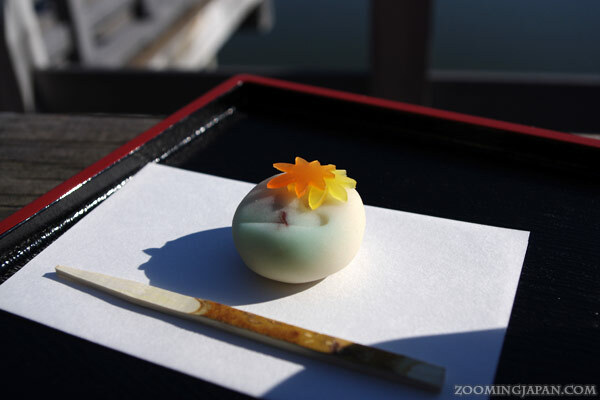 In the center of the garden is a Japanese teahouse where you can enjoy green tea and traditional Japanese wagashi. They’re always related to the season. 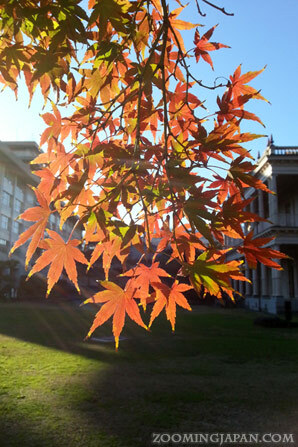 As it was autumn the wagashi featured maple leaves. Access: JR Shimbashi Sta. (10 – 15 mins walk); Shiodome Sta. (Oedo Subway Line, 5-10 mins walk); Tokyo Water Bus from Asakusa (opposite direction not possible!). More access information can be found here. 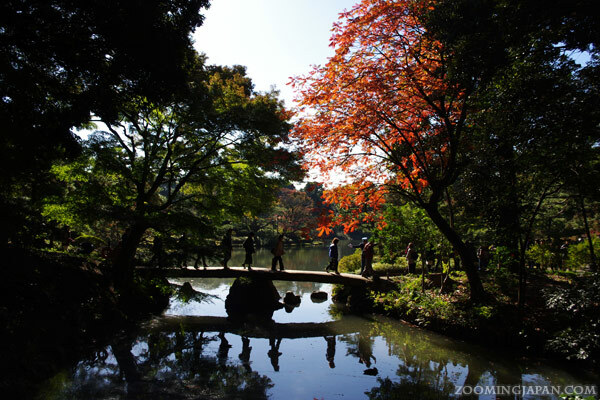 Koishikawa Korakuen (小石川後楽園) is one of Tokyo’s oldest and best preserved gardens, built in early Edo Period (1620s) by the Mito han. 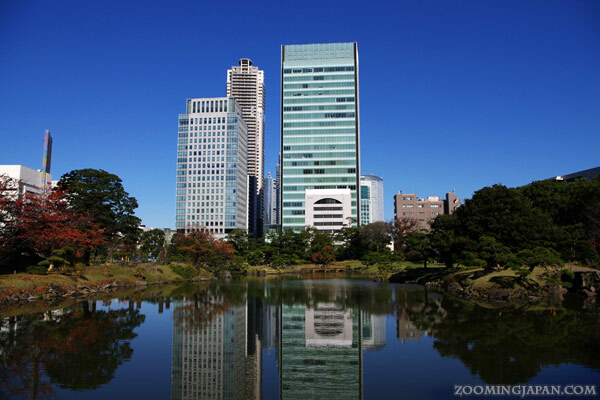 It is located in Tokyo’s Bunkyo-ku. 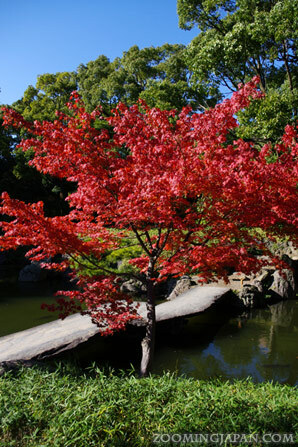 The garden shares its name with the famous Korakuen in Okayama. The design of the landscape garden has a Chinese character. When you’re strolling through the garden you almost forget that you’re in Tokyo, actually near Tokyo Dome. Access: Iidabashi Sta. (5-10 mins walk); Suidobashi Sta. (5-10 mins walk); Korakuen Sta. (10 mins walk). 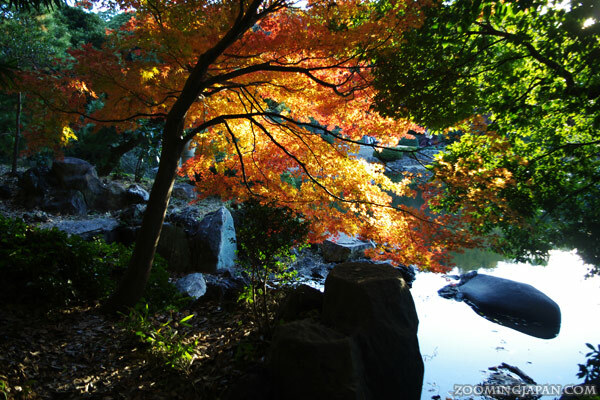 Kiyosumi Garden (清澄庭園) is located in Koto-ku, Tokyo. 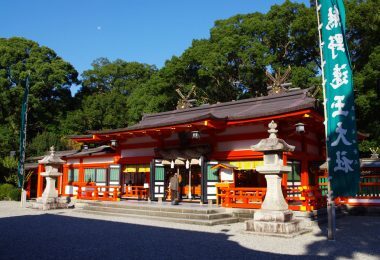 It was constructed in the Meiji Period (1880s) and opened to the public in 1932. Also, many citizens escaped to the garden from the fires that followed the great earthquake of 1923. 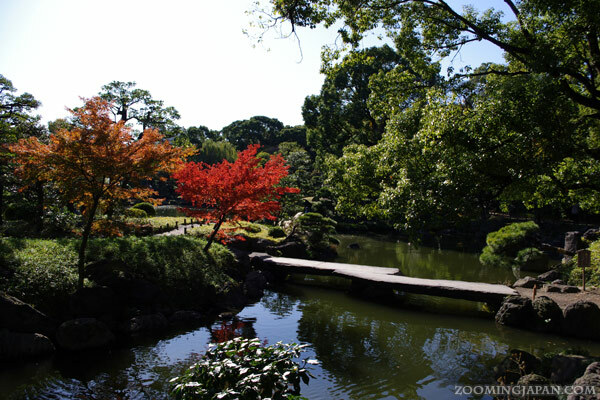 One special feature of this garden are three islands that are connected through a stepping stone path (iso-watari). Additionally you can also find a memorial hall of Emperor Taisho. The garden also has a lovely, small restaurant in a teahouse style (reservation required). Access: Kiyosumi-Shirakawa Sta. (5 mins walk). 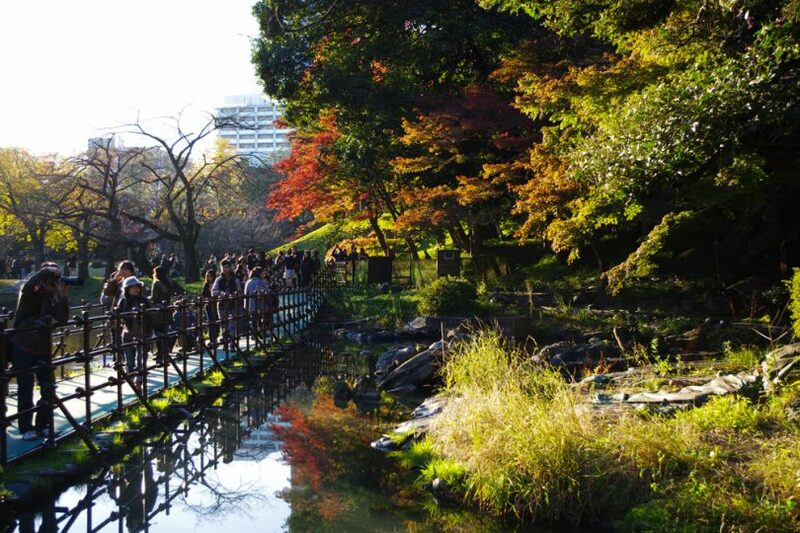 Kyu-Furukawa Garden (旧古河庭園) is located in Kita-ku, Tokyo. 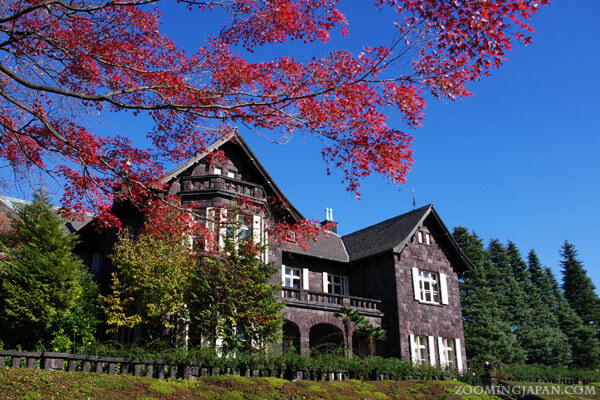 It’s part of the former residence of the wealthy Furukawa Ichibei. It was built in 1917 and opened to the public in 1956. This garden doesn’t only include a Japanese-style garden, but also an impressive looking Western-style building. On top of that there’s a beautiful rose garden. 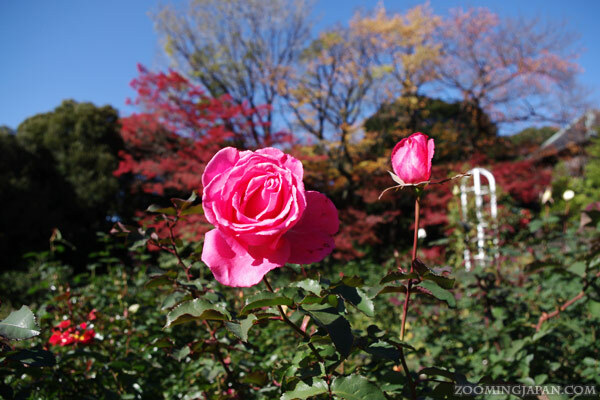 You can even enjoy roses and autumn colors at the same time! But to be honest there weren’t that many roses blooming in autumn. Right next to the entry is a small rest platform from where you have a nice view while you’re surrounded by stunning autumn foliage. The garden is rather spacious and despite the leaves being at their peak, it wasn’t very crowded when I visited. 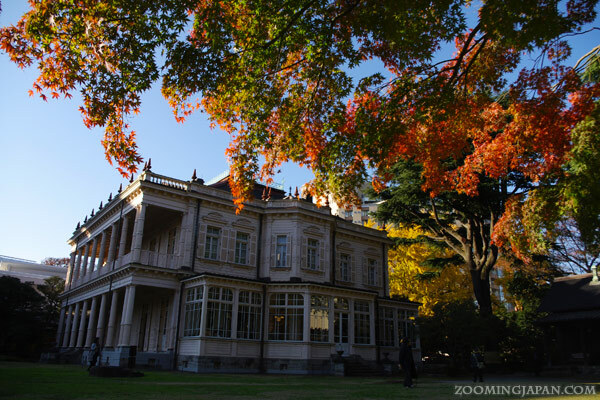 With the mixture of Western-style building, rose garden AND Japanese landscape garden this is among my favorite autumn spots. Access: Kami-Nakazato Sta. (7 mins walk); Nishigahara Sta. (10 mins walk). 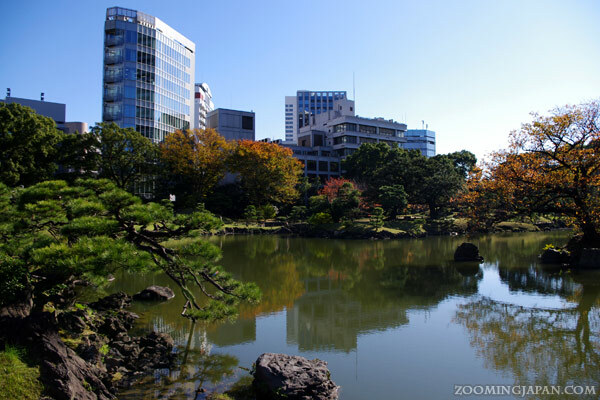 Kyu-Iwasaki-tei Garden (旧岩崎邸庭園) is located in Taito-ku, Tokyo. Actually it’s the former estate of the Iwasaki clan who were the founders of Mitsubishi. Kyu-Iwasaki-tei translates to “Old Iwasaki House”. There’s a Western-style house, a Japanese house and a billiard house. The most impressive one is the Western-style house, from the inside and the outside. The design is based on the Jacobean style of England (17th century), which incorporates Islamic motifs of the Renaissance. In terms of “gardens” it is a bit boring. 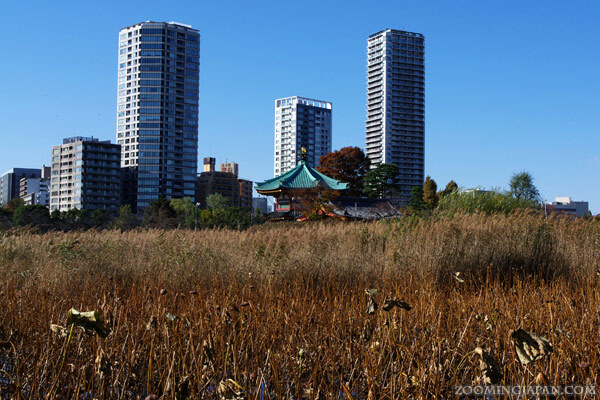 If you want to enjoy Japanese landscape gardens, then this one is not for you. 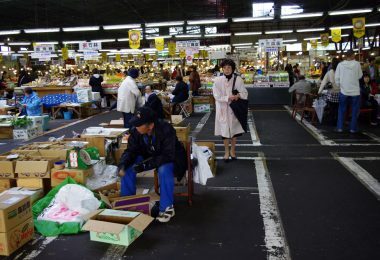 Access: Yushima Sta., Exit 1 (3 mins walk); Ueno Hiro-koji Sta. (10 mins walk); Okachi-machi Sta. 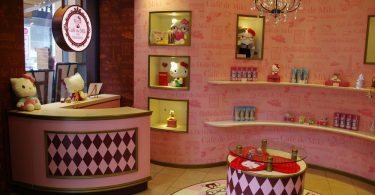 (10-15 mins., the subway station is closer than the JR one) – it’s also just a short walk from Ueno Park! The Kyu-Shiba-Rikyu Garden (旧芝離宮恩賜庭園, lit. 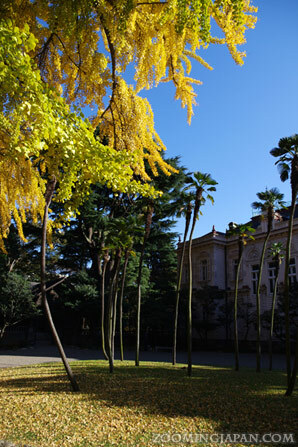 “Former Shiba Villa Garden”) is located in Minato-ku, Tokyo. 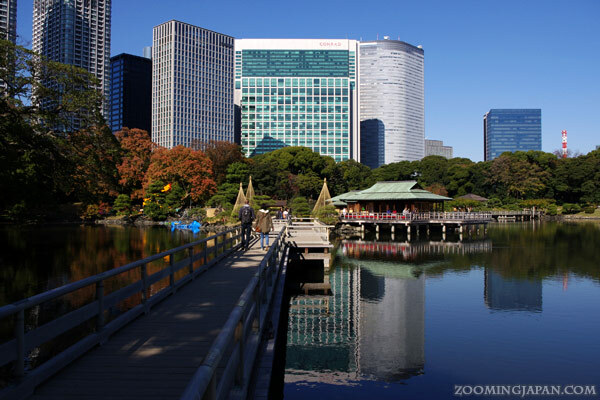 It’s a Japanese landscape garden not too far from Hama Rikyu (and the Tokyo World Trade Center), so you can easily visit both in a day. 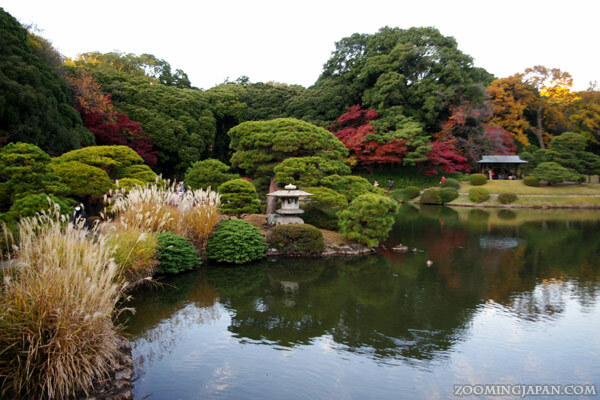 It’s one of the oldest and most beautiful gardens in Tokyo. 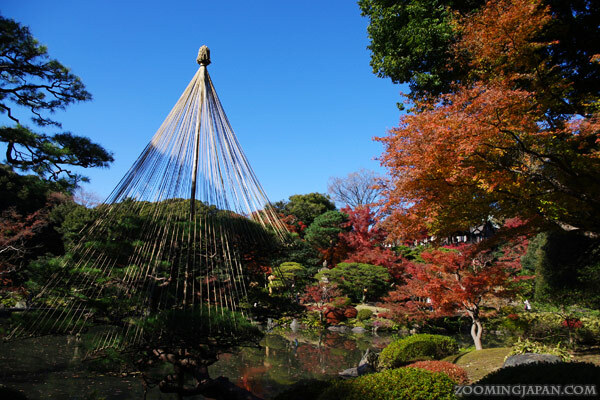 The garden was built on land reclaimed from Tokyo Bay during the Edo Period. It served as the residence of many different feudal lords and government officials. Eventually it was opened to the public in 1924. 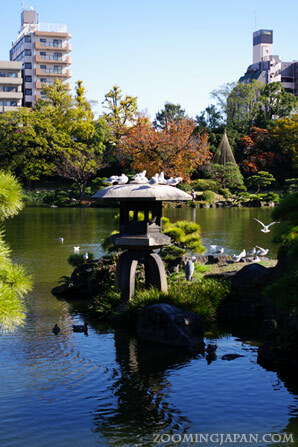 The central pond Sensui (9,000 m2) is the focus of the garden. Access: Hamamatsucho Sta. (2 mins walk); Daimon Subway Sta. (5 mins walk). 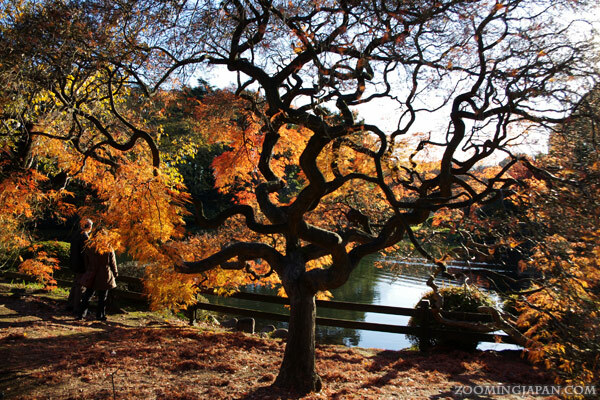 Rikugien Garden (六義園) is located in Bunkyo-ku, Tokyo and is considered to be one of Tokyo’s most beautiful landscape gardens. 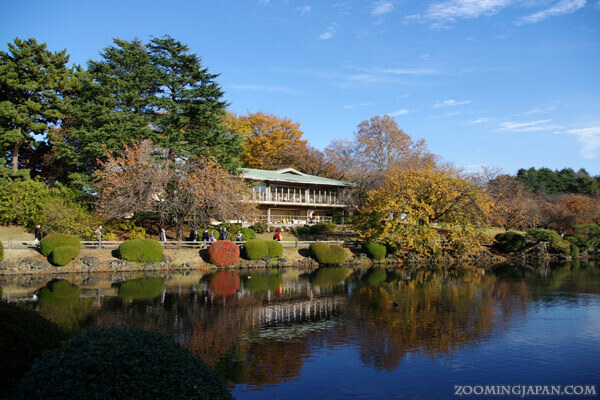 The park was constructed between 1695 and 1702 by permission of the 5th shogun Tokugawa Tsunayoshi . The name of the garden literally means “six poems garden” and thus incorporates the idea of the six elements in waka poetry. It reproduces in miniature 88 scenes from famous poems. The garden is very spacious, so plan at least 1 hour to stroll around and see everything. There’s also a lovely teahouse where you can have Japanese green tea. 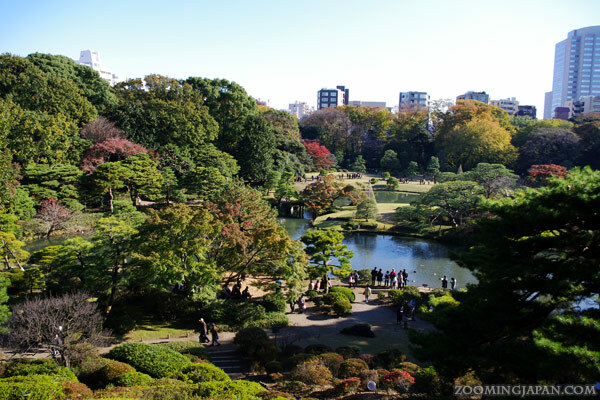 Shinjuku Gyoen (新宿御苑) – as the name suggests – is located in Shinjuku, Tokyo. 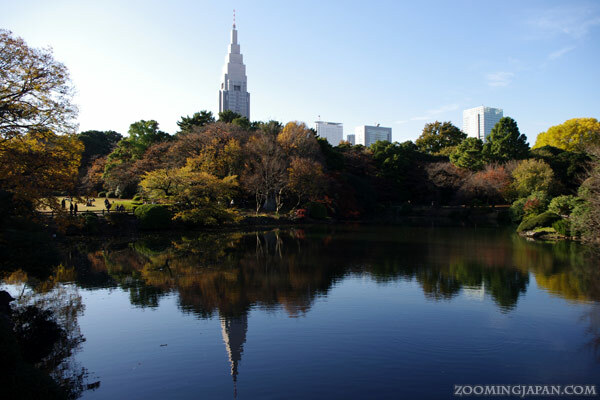 It is one of Tokyo’s most spacious parks. Even if you spend the whole day there you might not be able to explore the entire park. 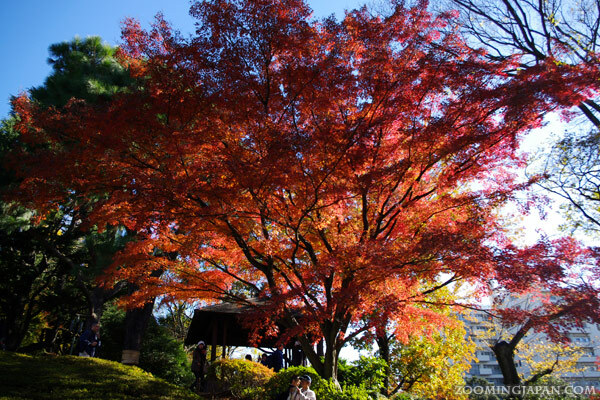 It is mostly famous for its cherry blossoms in spring, but is also lovely in autumn. 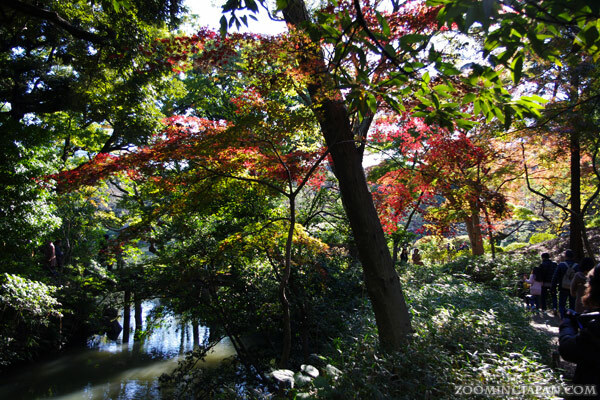 The park’s origin goes back to the Edo Period where it served as a feudal lord’s residence. Unfortunately the park was almost completely destroyed during World War II, but reopened as a public park in 1949. 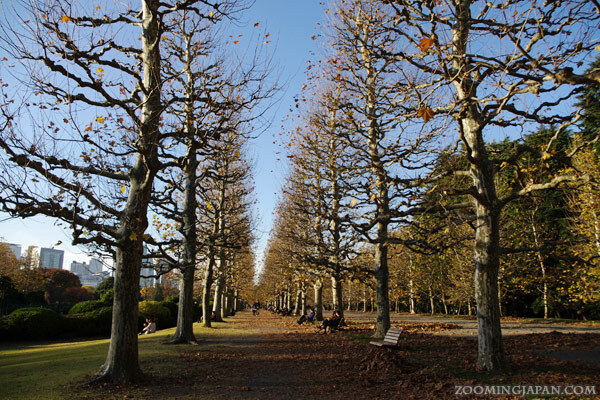 The park was chosen as the site for the funeral rites of Emperor Showa in 1989. 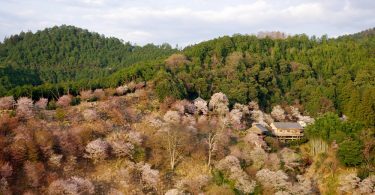 You’ll find not only a typical Japanese landscape garden, but also a French garden, an English landscape garden as well as an interesting greenhouse. There’s a huge variety of trees in the park. 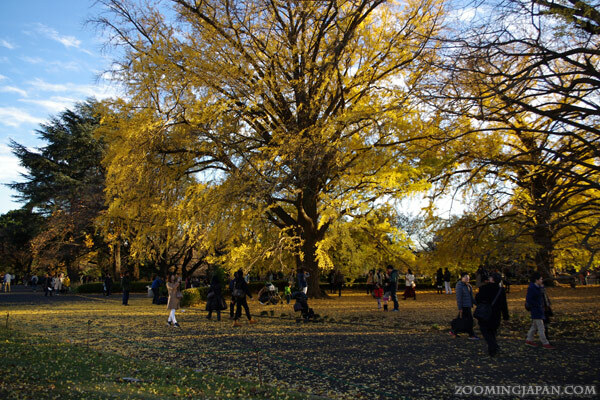 In autumn the ginkgo and Japanese maple trees are especially colorful. 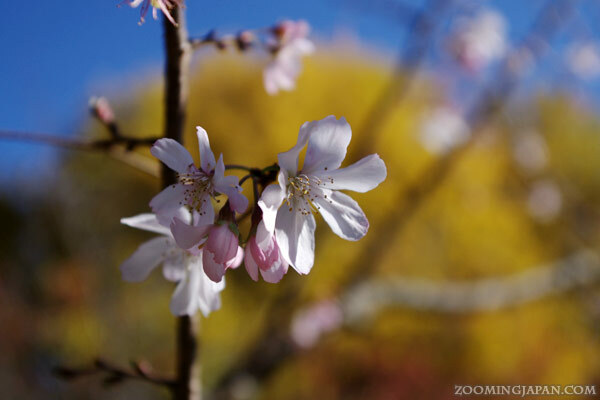 But there’s also a special type of cherry blossom that blooms in autumn! 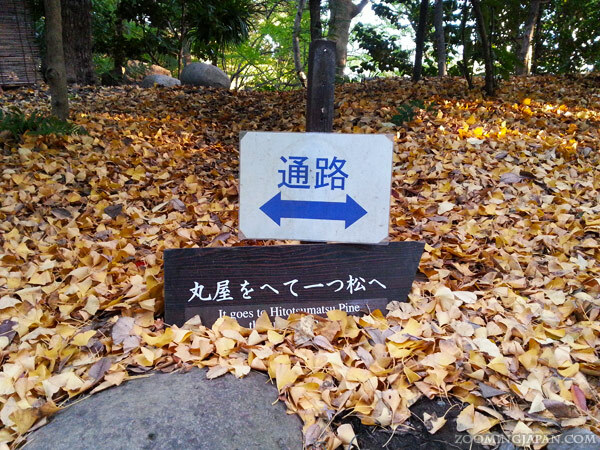 Access: Shinjuku Sta., New South Exit (10 mins walk); Shinjukugyoenmae Sta. (5 mins walk); JR Sendagaya Sta. (5 mins walk). 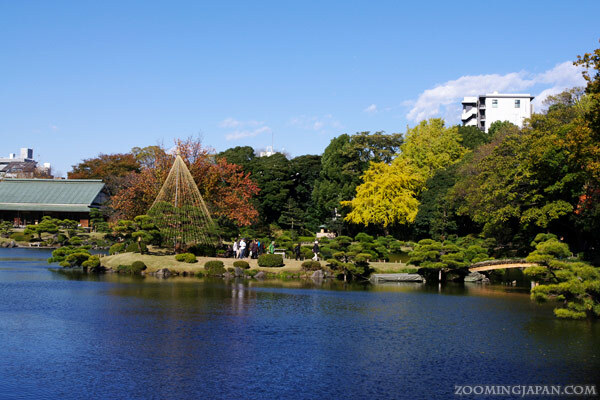 Ueno Park (上野公園) is located in Taito-ku, Tokyo – and is probably so famous that it needs no further introduction. 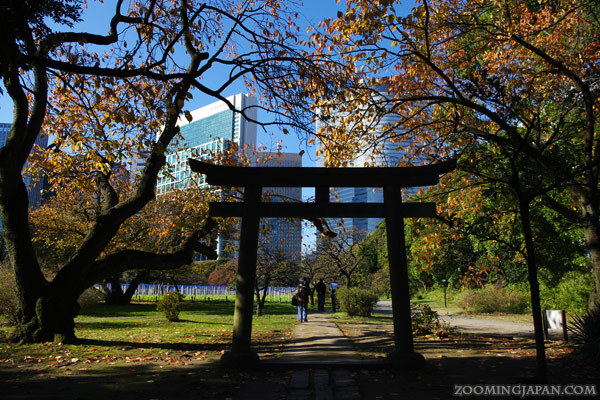 The park grounds were originally part of Kanei-ji Temple, which used to be one of the city’s largest and wealthiest temples. 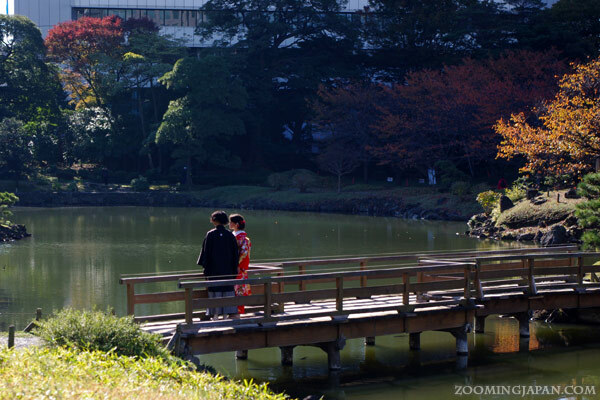 There’s a huge pond, many museums, temples, shrines and other things to discover in the park. Ueno Zoo is also quite popular. 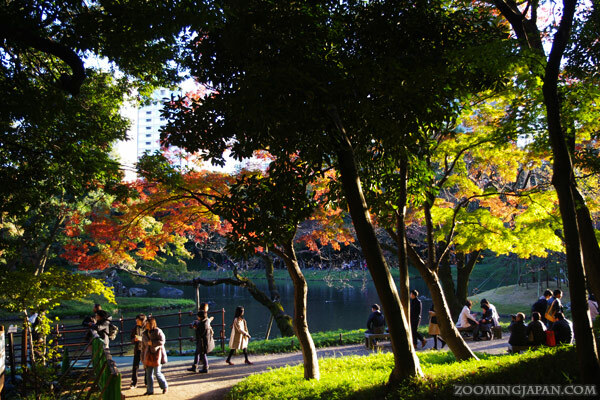 It’s another of Tokyo’s spacious parks where you can easily spend a whole day. I’ve been to Ueno Park many times and still discover new things every single time. 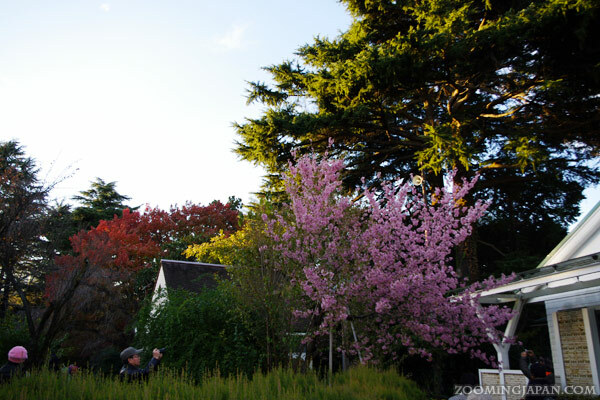 The best time to visit is probably during cherry blossom peak season, but it’s also a beautiful sight in autumn. Access: The easiest way is to access via a short walk from JR Ueno Station. 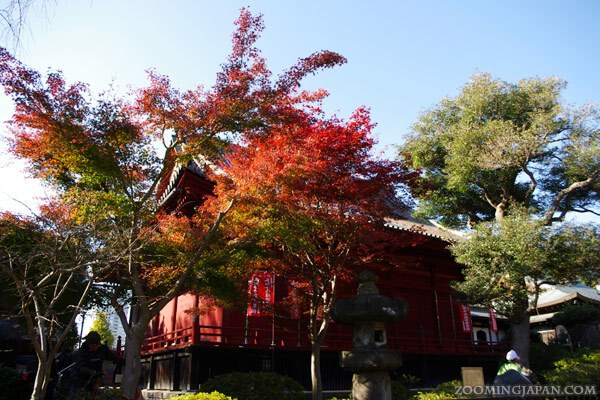 So, this was just a small selection of my favorite autumn spots in Tokyo. Have you been to any of these gardens or parks yet? 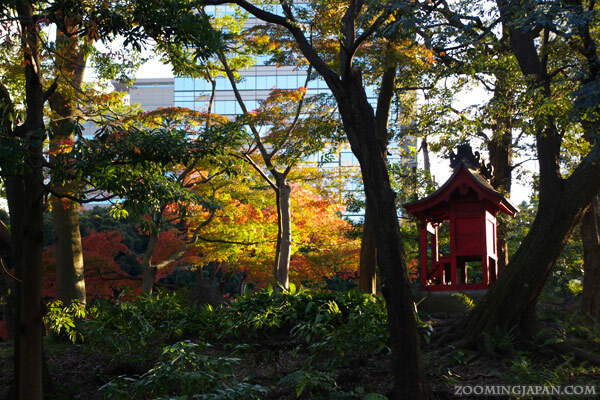 What are your favorite spots for autumn colors in Tokyo? I'm in love with your blog, I discovered it the last year, that's my first time saying hello c: Sorry for my english! It never gets boring!!! It’s just too beautiful.